A community model for social entrepreneurs in the city or in the country! Though our community was destroyed by the 2018 Kilauea volcanic eruption, the lessons we learned live on. Over the years, we developed guidelines which have greatly reduced areas of friction among community members at Hedonisia. These guidelines can be applied to any community as the issues we faced are also shared by many small communities around the world. To create an idealistic community or business is a great challenge. This Handbook is meant to make your journey easier! A Manual for Social Entrepreneur Community Management! All communities are created with the best of intentions. Nobody wishes for their community to fail! However, even if a community is based on amazing philosophies and ideas, it can still destroy itself over little details like day-to-day operation, financial issues, and of course, personality clashes. 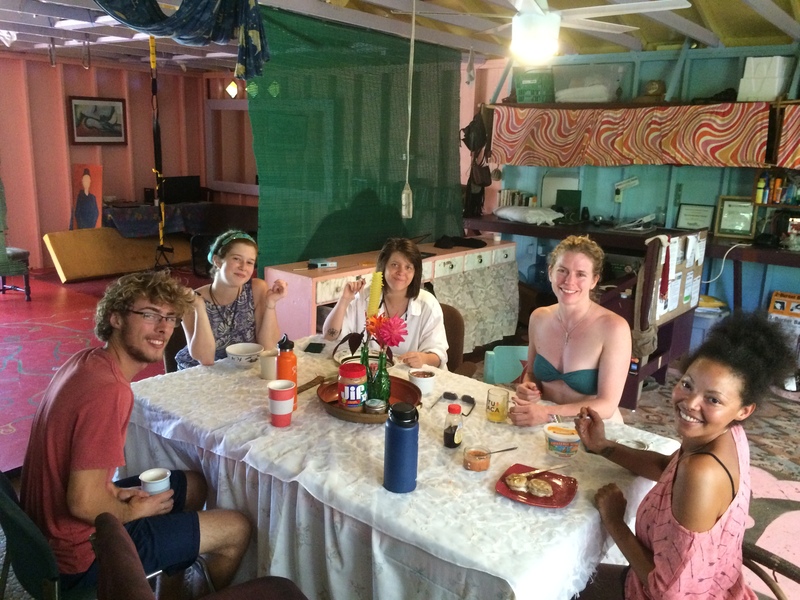 To be truly sustainable, an intentional community must be economically viable. Ideally, it should generate enough income from activities aligned with community values in order to grow and evolve. For example, the Hedonisia community funding is based on ecotourism and social entrepreneur projects with a focus on women’s issues. The Hedonisia Handbook is applicable to a community in the country or in the city. We apply Hedonisia principles even in our 2-Bedroom ‘Micro-Community’ Apartment in Portland OR! As our projects continue to evolve and grow, so does the Hedonisia Handbook! Following the example of Mother Nature, we believe that continual evolution is the only way for a social enterprise to grow as it faces new challenges! So this is not a “static” ebook. As long as you are a member you will see updates. a) Activist Entrepreneur: An instructional video course on how to create a business which as a part of its products or services, is working through the political system to create changes in the law to promote a socially progressive, feminist or environmental cause. b) Hedonisia Handbook: Through hard work and experimentation, we have developed a practical set of guidelines, material, and ideas that have allowed us to evolve and grow over the years into a sustainable community. This ebook is also for those who live in an urban area and wish to create an Urban ‘micro-community’.